Starting with a blank canvas?The idea of creating something 'from scratch' can be a daunting, but also incredibly rewarding. 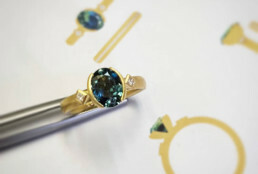 I will work closely with you to establish your design brief and, using your own inspirations, create a beautiful piece of jewellery that reflects your story. Do you have existing materials you would like to reuse such as gemstones, fine jewellery or a family heirloom?I can create a new piece reusing your precious material(s). 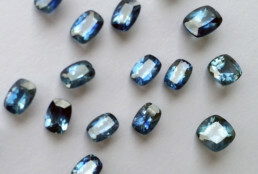 Gemstones can easily be reset; and, it is often possible to melt down and reuse your existing gold or platinum. Do you like one of my existing designs?Inspired by one of the pieces you see on my website or Instagram? I would be happy to discuss adapting one of my designs to make it your own, such as using a different gemstone, metal, texture, or even proportions. I have a range of samples available to see and try on at my studio. Please get in touch to book an appointment to get us started. How long?For a design created from a blank canvas, I would typically require 6-12 weeks, but it comes down to the complexity of the design. To recreate something inspired from my existing designs or for simple wedding bands is typically 4-8 weeks. As every piece is handmade and often a collaborative process, time is needed to develop and agree the design of a piece as well as make it. How much?Working out the cost comes down to the materials used as well as the complexity of the design. If there is a budget you are working to let us know. Amanda will be happy to discuss and offer options based on your ideas for your commissioned piece. Design DevelopmentThe fun part! There are many ways to start the conversation. Feel free to email or phone me with your ideas or, if you are able, I recommend you make an appointment to visit my Hatton Garden studio where we can discuss the process. 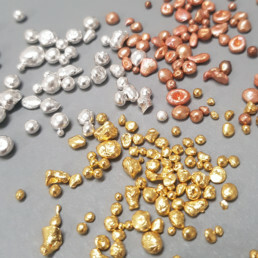 There I can show you samples of my work, precious metal colours and responsibly sourced gemstones, including a variety of coloured gemstones and diamonds.With rings, we will look at proportion, size, metals (colour, carat, Fairtrade) as well as optional stones, textures, and finishes. I enjoy showing people how personal a piece of jewellery can be, teaching you about the craft and materials we can use and how we can express your story and personality. Design options & quoteOnce we have established the brief, I will either prepare a quote or present a few design options to consider. These options will be presented with their associated costs, which we can review and revise before agreeing your final design. Final cost estimate & depositOnce the final design and cost is agreed, I will confirm all the details in an order form. At that point, a 50% deposit is payable. Making the designThis is where it all becomes real! I will craft your piece of jewellery by hand in my studio and have it finished for our agreed deadline. Time permitting, I can make a silver mock-up sample of the piece to confirm the final design and fit. Click here to find out more about the making process. Final PaymentThe remaining balance of the payment will be due upon completion of the piece. 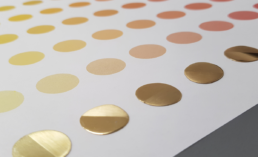 The completed piece of jewelleryYour piece will be presented in its own gift box, which either can be picked up in person at my studio or posted via insured delivery. Ring resizingWe offer a complimentary resizing within one year of purchase of your commissioned piece. It is important you are sure it feels right through the summer and winter months. Book an appointment to discuss your ideas with Amanda.